AAKASH CHANDRA on October 15, 2014. 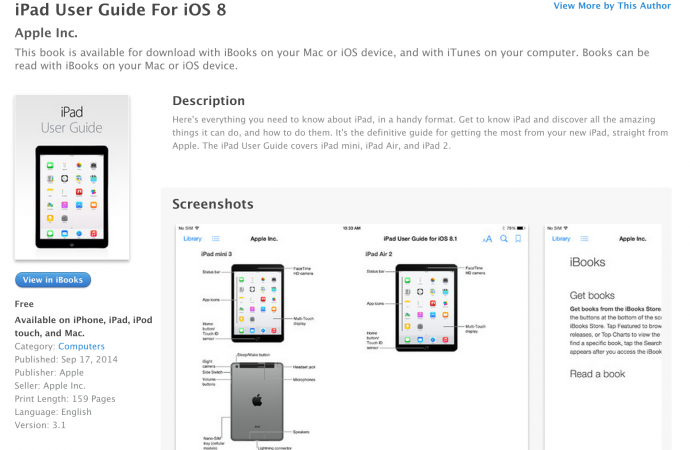 Call it a co-incidence, a mistake or a planned move, but just after Google’s hot Nexus 9 announcement, Apple’s updated User Guide for iOS 8.1 has leaked and in it are details of the next iPads. 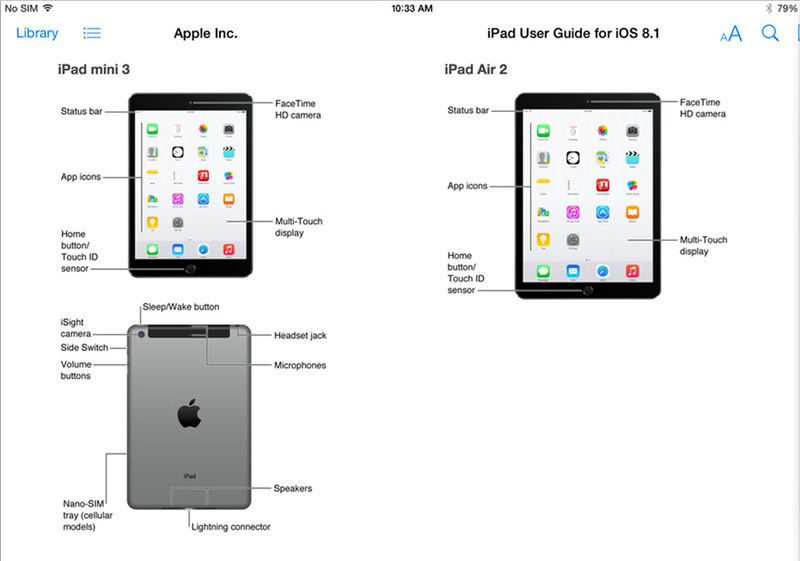 Yes the new iPad Air 2 and the iPad Mini 3, but no, you do not get any juicy information except the fact that both the new tablets will get a tTouchID sensor in place of the home button and thats about all the information you get in this leak. Everything else is just a bunch of screenshots showing of the OS, and the new improved features. However you put it, in an attempt to out do each other, Google announced the Nexus line up a day earlier to the big Apple announcement, and Apple leaked the documents right after the launches. The tech giants need to curb their enthusiasm if they want our brains to rest easy. The Book has been pulled from the App Store (See source link), but not before some folks downloaded it, and the website link below still has the screens.